Discover great views of Belfast, the River Lagan and Belfast Lough all from the great vantage point. 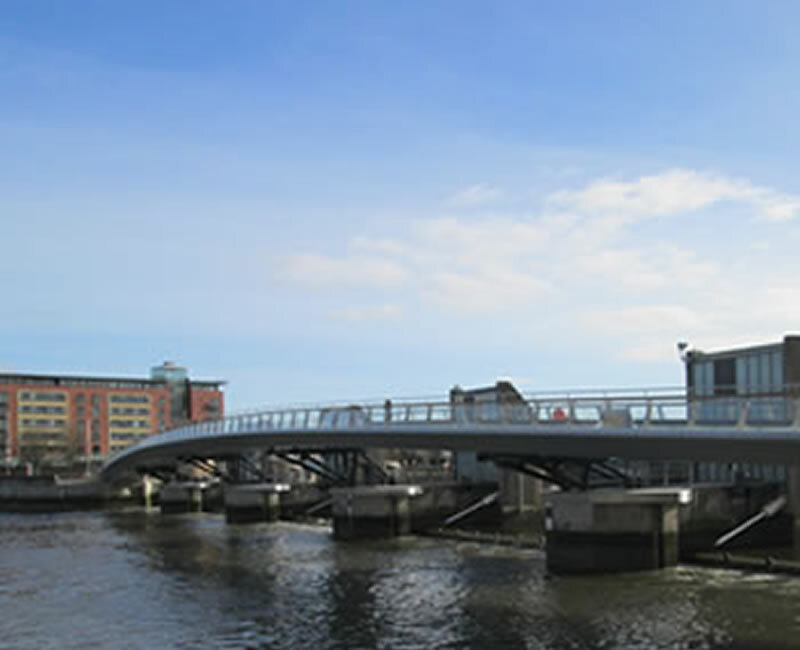 This foot and cycle bridge crosses the river, with the Big Fish and Customs House on one bank leading to the SSE Arena and Titanic Belfast on the other. Car users can use the Queens Bridge close by. 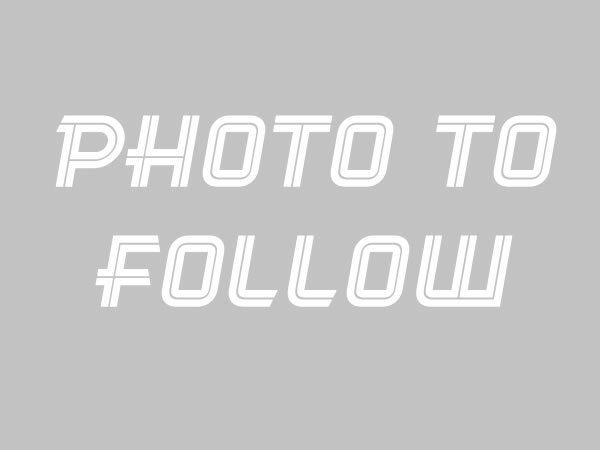 The Big Fish is located in Belfast's Donegal Quay close to the Obel Tower, the Lagan Lookout and Custom House Square. 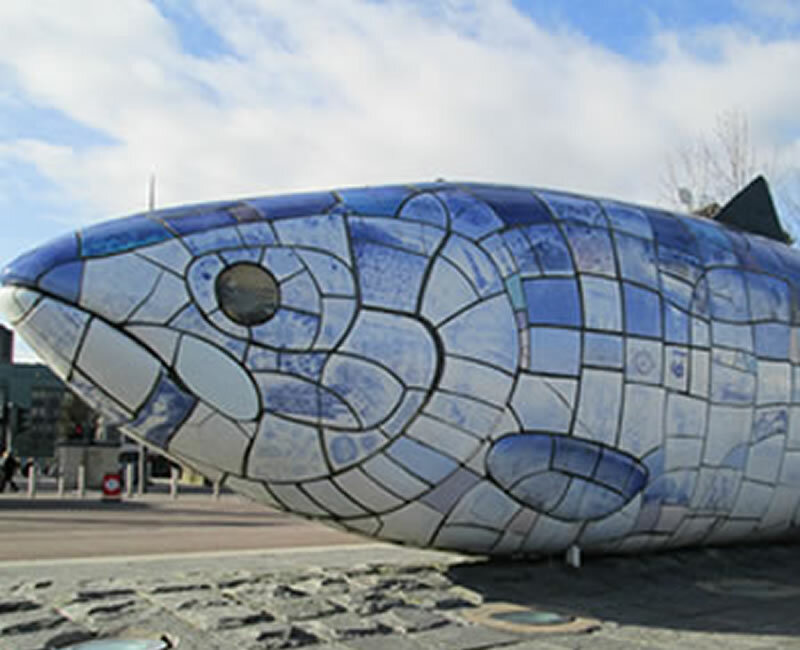 The Big fish is a public art sculpture 10 metres long of printed ceramic mosaic and has become a popular tourist image for the City of Belfast. These yellow gantry cranes reflect Belfast's rich maritime heritage. 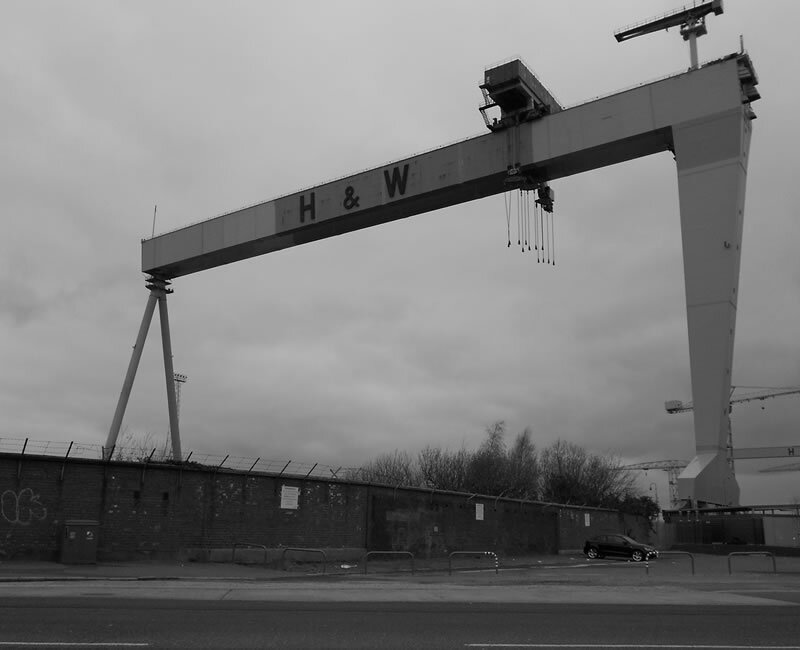 Located within Harland & Wolff shipyard, Queen's Island they are probably the best known symbol of the city. To many they represent the location where RMS Titanic was built but they weren't actually constructed until much later. The Spirit of Belfast is located in Belfast's Corn Market. The public art was unveiled in 2009 and replaces a long standing band stand used for performers and Christian open air meeting in the city. 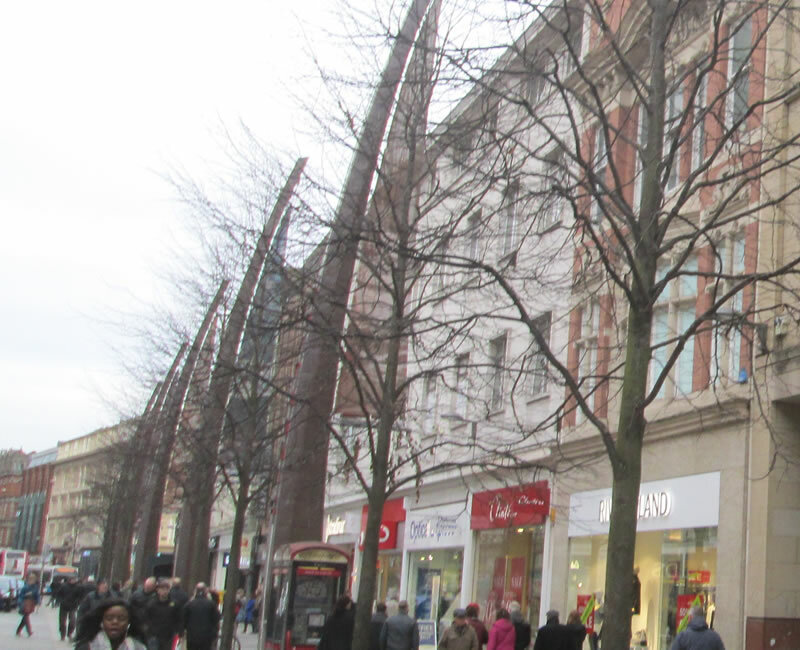 The sculpture cost £200,000 and is close to Belfast's premier shopping area Victoria Square. 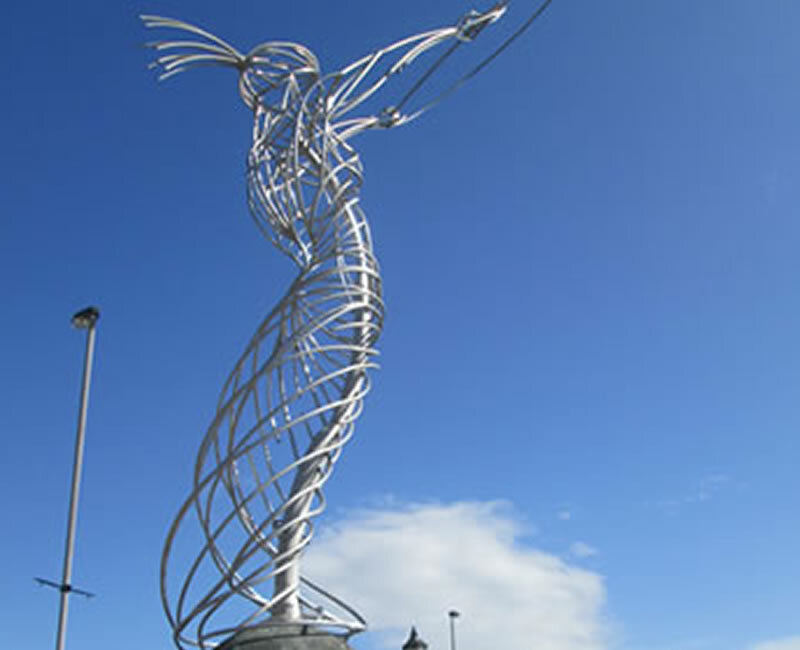 The RISE sculpture is one of Belfast most prominent pieces of public art. The spherical metal sculpture by Wolfgang Buttress cost a whopping £400k and stand proudly on the Broadway roundabout on Belfast's M1 motorway. Modern day Belfast uses Custom House square where Custom House is located, for events and street parties but this is one of Belfast's most iconic buildings. Built in around 1857 Customs House was central to the success of Belfast as a port and trading centre in the Victorian age. 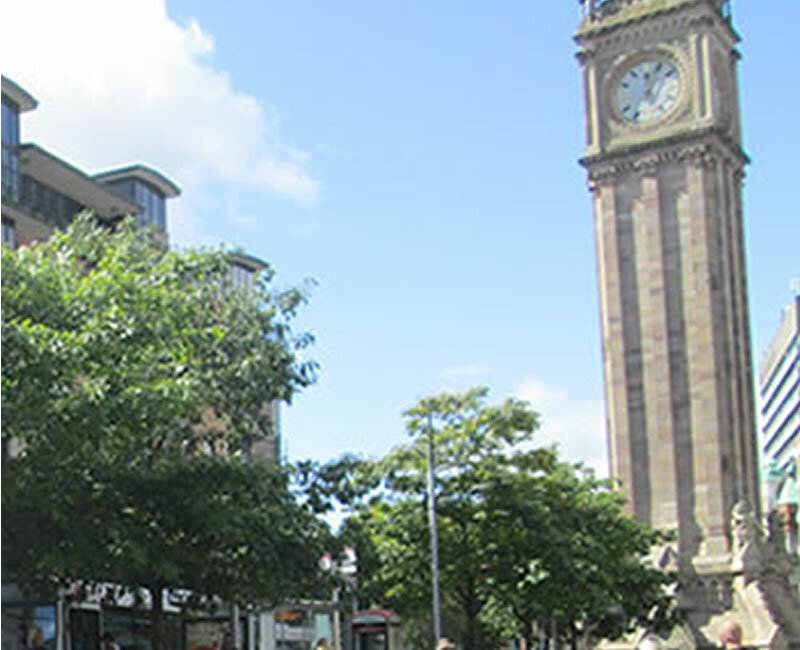 One of Belfast's most famous landmarks is the Albert Memorial Clock situated at Queen's Square in the city. Completed in 1869 and standing 113 feet tall the Albert Clock is Belfast's own learning Tower as it was built on land reclaimed around the River Farset. The Learning Tower of Belfast is reported to lean four feet off the perpendicular. 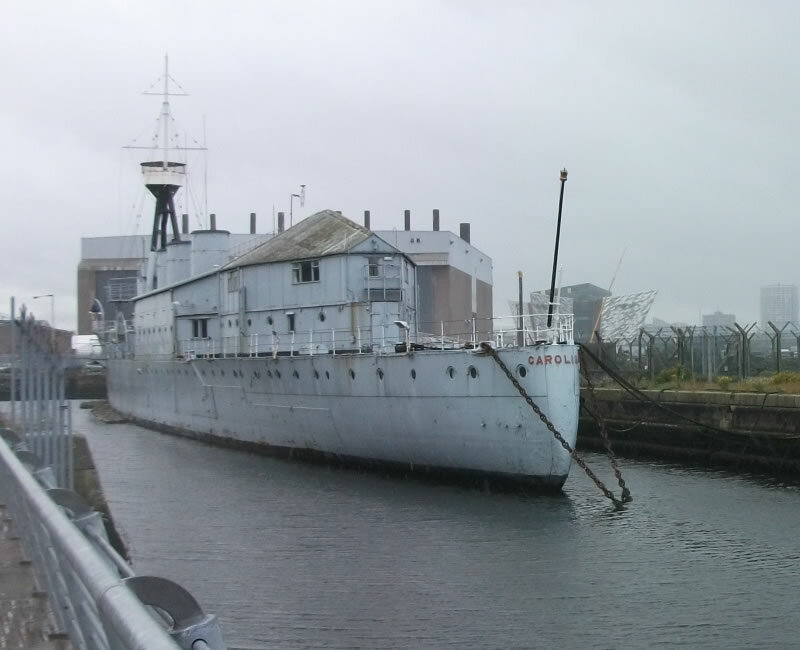 HMS Caroline is the last survivor of World War 1 Battle of Jutland. Later HMS Caroline played its role in World War 2. Now newly restored HMS Caroline is Belfast latest tourist attraction reflecting the city's rich maritime history. The popularity of Belfast's Cathedral Quarter is growing due to redevelopment and the relocation of the Ulster University. In the heart of this area sits another iconic building, St Anne's Cathedral which is also known as Belfast Cathedral. This Anglian cathedral has great architecture and is where the funeral service of Alex Higgins took place. The Gaol at Crumlin Road was a working prison up until 1996 just a few years before the Belfast Agreement was signed. The prison dates back to 1845 and has now reopened as one of Belfast's major landmarks and visitor attraction. 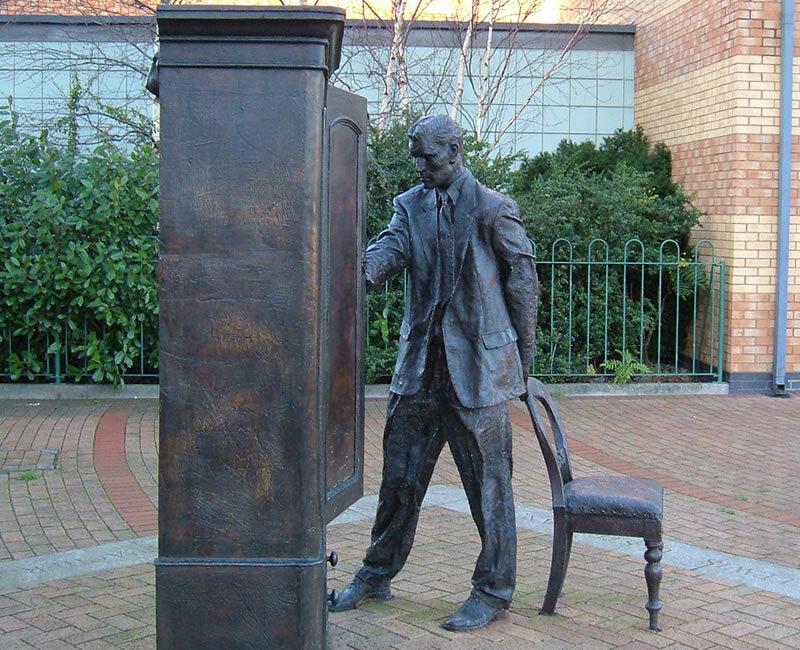 This public art is a tribute to Christian author CS Lewis and sits at the entrance to CS Lewis Square's Holywood Arches Entrance. The art represents probably the author's best known work the Lion, the Witch and the Wardrobe. The Beacon of Hope is public art in Belfast close to the Queen Elizabeth Bridge. 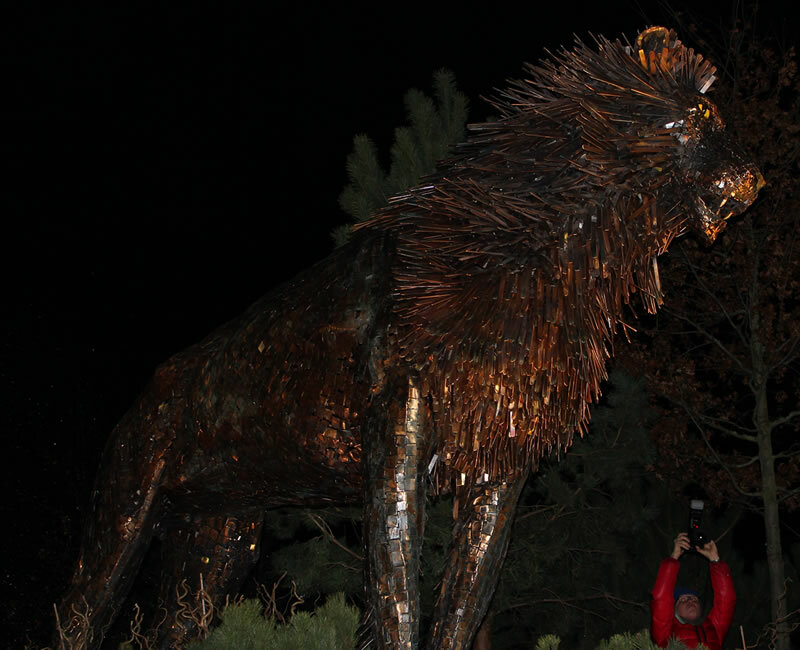 Its metal sculpture stands 19.5 metres tall is an area now called Thanksgiving Square. 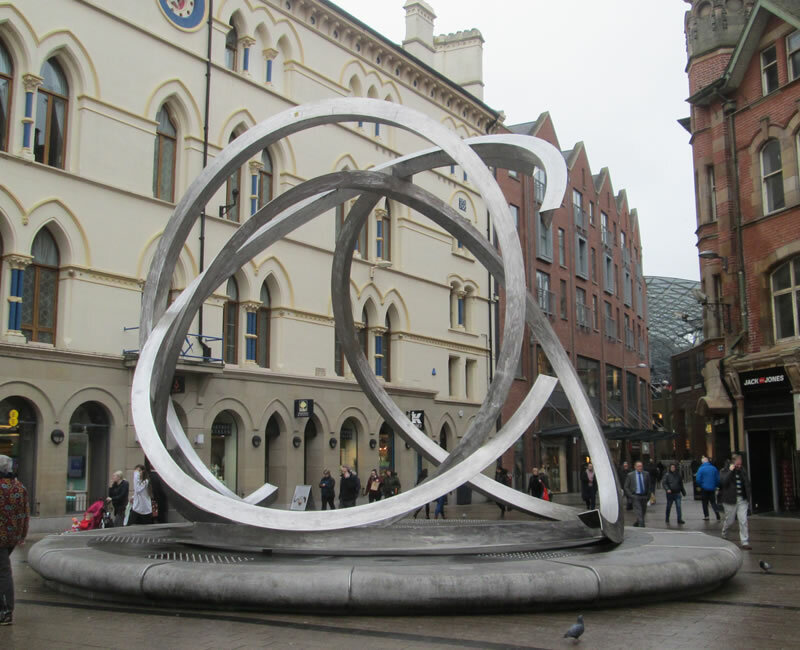 The stainless steel and cast bronze structure is fast becoming a Belfast landmark and is the second largest public art sculpture in Belfast.